Here are the highlights of the Ancient Awakenings channeling from 2-10-19 to 3-3-19. These were fabulous channelings where we were visited twice by Kara, who is a Pleiadian emmisary and a powerful Goddess of Light. Plus we were visited by Lord Melchizedek, who is a super high frequency being, as well as Lord Ashtar of the Galactic Federation of Light. We also heard from our dear brother & Ascended Master One Who Serves, who answered our specific questions after the channelings. In these channelings we learned that….
. Our Consciousness here on Earth is raising moment by moment.
. We are each making a difference with every thought we have.
. We are the new Paradigm of this New world.
. There is a pecking order to the arrests that are starting to happen. Here is the webpage where you can access the full channelings. And here is the Ancient Awakenings Meetup I mentioned in the video. 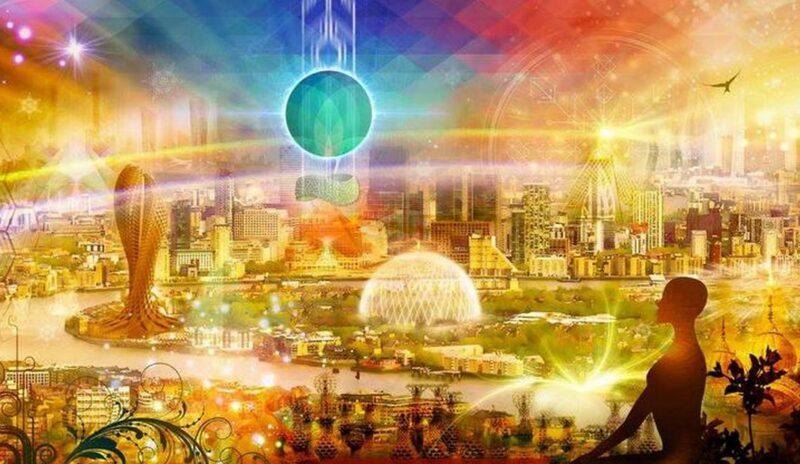 This was our very Special New Year’s Channeling where, just once per year, we are given predictions for the upcoming year by the group of Ascended Masters known collectively as “One Who Serves”. Predictions are almost never given in our channelings because predictions are always probabilities and possibilities and they are always changeable based on our ever-changing consciousness on Planet Earth.
. 2019 will be a VERY special year.
. We WILL have those arrests we have been waiting for.
. We WILL have changes in the political structure.
. We WILL have more and more sightings. Here is the Ancient Awakenings channeling for 11-4-18. This was a quite poignant channeling where we were visited by Commander Aramda, who is the Commander of the Galactic Ship the Amalia. After that we heard from our brother &amp;amp;amp; Ascended Master One Who Serves, who answered our specific questions. What occurred is beyond explanation and its enormity is beyond our 3D comprehension. Global warming is a fallacy. Here is the Ancient Awakenings channeling for 10-28-18. This was a quite poignant channeling where we were visited by St. Germaine, The keeper of the Transmutational Violet Flame. After that we heard from our dear brother &amp;amp;amp;amp; Ascended Master One Who Serves, who answered our specific questions. The recent mail-bombs were a false flag. Figures in dreams are always aspects of ourselves, or parts of our personality. Here is the Ancient Awakenings channeling for 9-30-18. This was a powerful channeling where we were visited by Master Aramda, Commander of the Galactic Ship the Amalia. After that we heard from our dear brother &amp; Ascended Master One Who Serves, who answered our specific questions.
. We know and have known Aramda in times gone by.
. We are preparing for the change from one paradigm to another.
. There must be utter destruction of the illusion.
. What’s up with the sealed indictments.
. The difference between the Spirit versus the Soul. Here is the Ancient Awakenings channeling for 9-23-18. This was a powerful channeling where we were visited by Commander Ashtar, Commander of the Galactic Fleet. They are celebrating our great progress. One day soon will be known as the day the stars fell from the sky. Why many of us are no longer in the 3D Illusion & Matrix. Here is the Ancient Awakenings channeling for 9-16-18. This was a powerful channeling where we were visited by Master St. Germaine, as well our beloved Ascended Master Brother, “One Who Serves”. The temp is rising & the pot is about to boil over. We ain’t seen nothing yet! Why they closed the FBI Sun Observatory Facility. There are all kinds of physical appearances out there with the Galactics. Here is the Ancient Awakenings channeling for 9-9-18. This was a powerful channeling where we were visited by Archangel Michael, as well our beloved Ascended Master Brother, “One Who Serves”. Without us, The Wayshowers, “The Wave” (The Event) would not come. They are waiting for us with open arms. We & the Masters & Agarthans & Company of Heaven are ALL the Alliance. We are the boots on the ground, and the eyes and ears. There is a reason we may be feeling sadness right now. What happens when a beloved pet dies. This was a poignant radio show & channeling featuring Lord Sananda as well our beloved Ascended Master Brother, “One Who Serves”. What’s up with the NSA & CIA Satellites. Why we may come “full-circle” in September. The storm clouds are gathering now! What “Ask & It Shall Be Given” means. The Dark Forces cannot stop this. Here is the Ancient Awakenings channeling from 8-26-18. This was a poignant channeling on featuring Lord Sananda, the Higher Self of Yeshua, as well as our Dear Ascended Master Brother, “One Who Serves”.
. How the Law of Attraction works.
. What our daily purpose is.
. Where & how the Truth will come.
. How we can speed up the Ascension.
. Hold your calm. The storm really approaches. Here is the website for the Jared Rand Daily Global Meditation. Here is the website for daily/weekly mass meditations & Cobra posts.